Did you know that popcorn has more protein than any other cereal grain, more iron than spinach, more phosphorous than pretzels, and almost as much fiber as bran flakes? Yeah, me neither. I already knew that popcorn was a healthy snack choice to make because it so low in calories, but wow! With impressive credentials like that, I am beginning to think I should eat popcorn more often. I recently starting making my own popcorn on the stove top and it has made quite the difference. The popcorn tastes so much fresher (and I never have old maids left over). I can adjust the salt and oil content myself, which gives me the power to control my popcorn's destiny. If you haven't tried cooking stove top popcorn, I suggest you give it a shot. I use the Whirley Pop which hasn't made me a bad batch yet. I recommend it if you are in the market for a popcorn popper (and no, I'm not be bribed to say this). It works well for me; I have no reason to believe it won't work well for you. This popcorn is incredibly addictive. 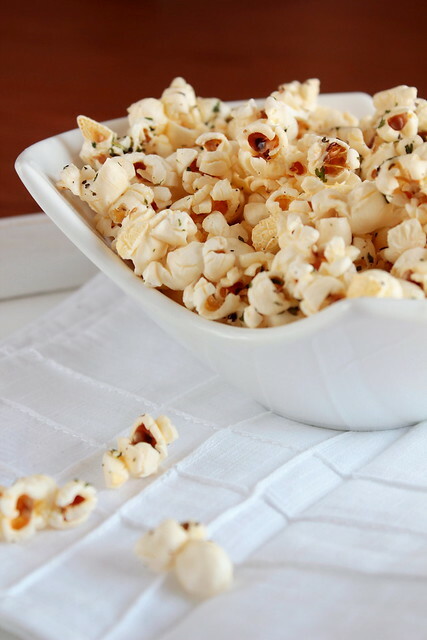 Popcorn on its own can be addictive but these seasonings take it to a new level. The basil brings out the Italian flavor and the garlic salt makes the popcorn reminiscent of a good breadstick. 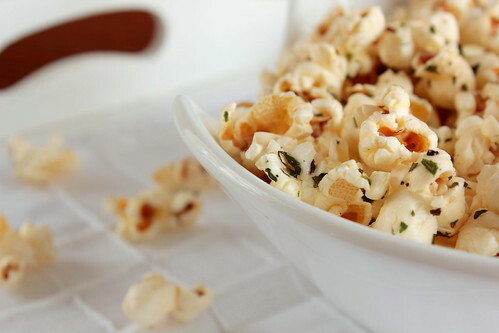 Each kernel manages to pack a punch of flavor without adding extra calories from butter, caramel, or other toppings. 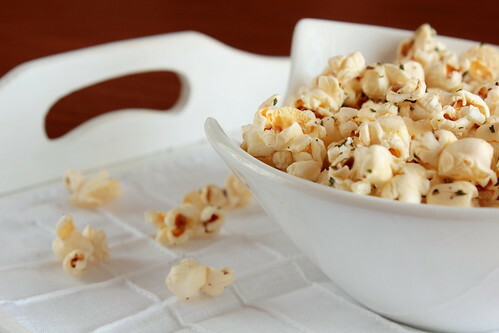 If you are looking for a way to spice up your popcorn, you should give this a shot. You won't be disappointed.